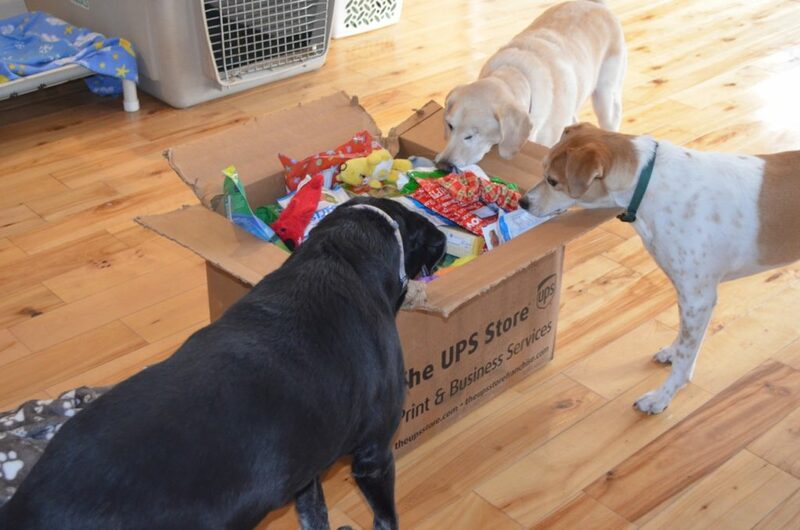 Longtime supporter Barb R. sent another box of Christmas goodies for the dogs, and so it was time to let Santa’s helpers help themselves to the gifts inside. 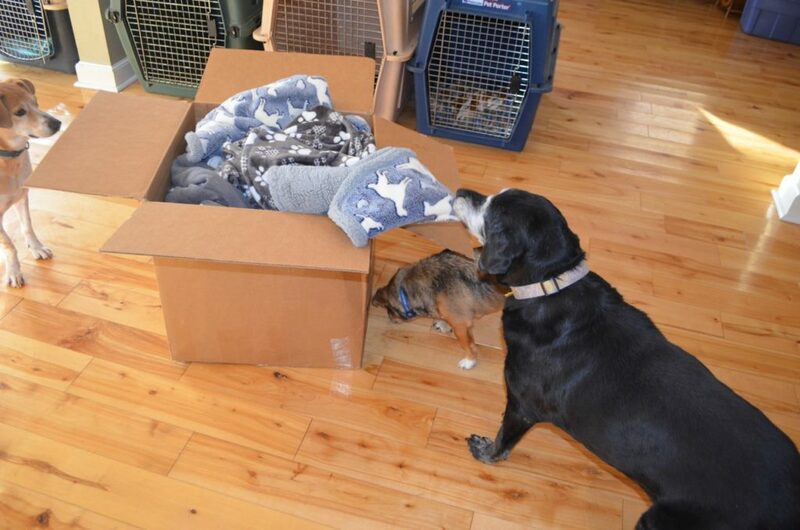 As usual, blind Stella went first, removing the doggie blankets on top. The other dogs wait around for her to do this, and she loves this part more than anything. I’m happy to report that Mr. Duck survived that mauling intact, but does look a little worse for wear this week. How precious of Barb to lovingly send these things every year. 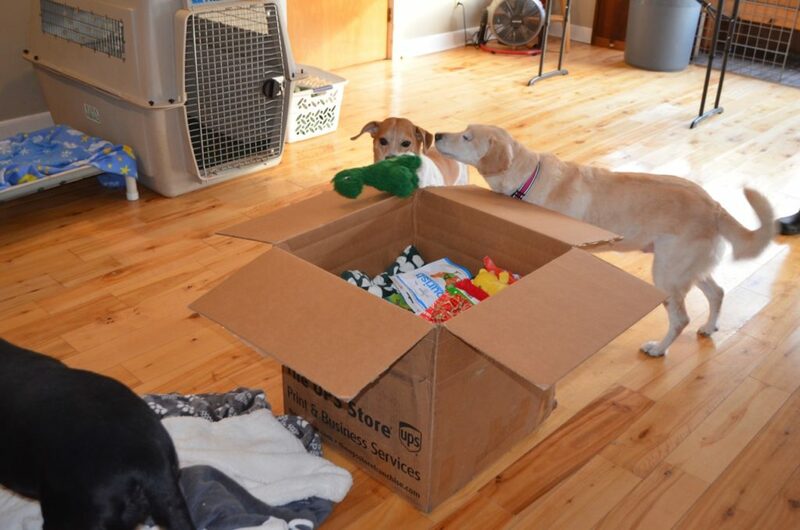 It is such a hoot to watch the dogs unload their Christmas box. Love them! Your helpers are so well-behaved! There’s teamwork, and taking turns, and everything. I’m sure you had as much fun watching them as they had unpacking. I just noticed today that you changed the photos that scroll on your home page. That Tanner is one photogenic dog! How much fun is that for all ! Enjoyed the photos of the dogs enjoying Christmas! Happy New Year to all at the farm! How AWESOME!!! Two paws up for Barb!! 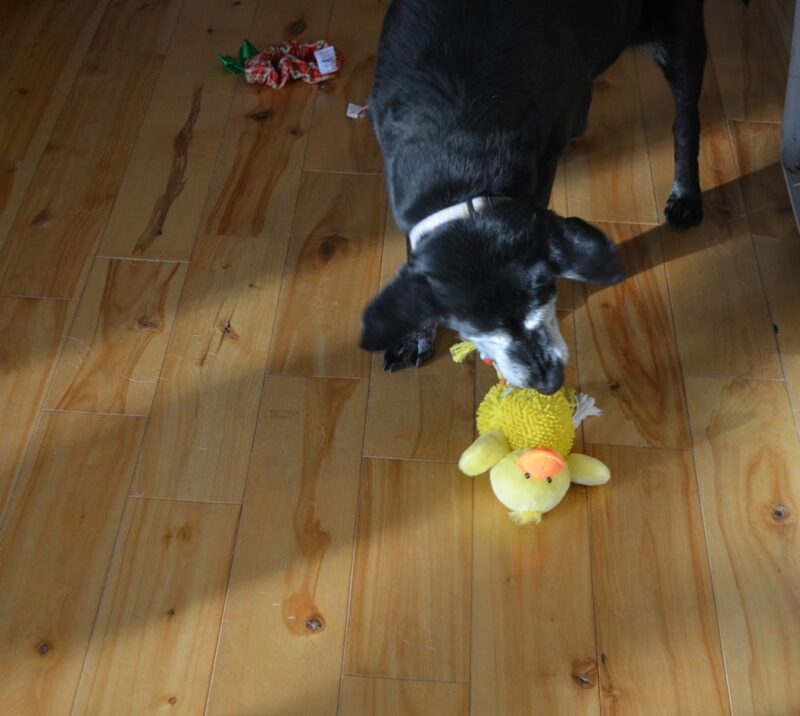 Thank you Barb for bringing the Christmas joy to the dogs – and to all of us who see these joyful pictures!!!! 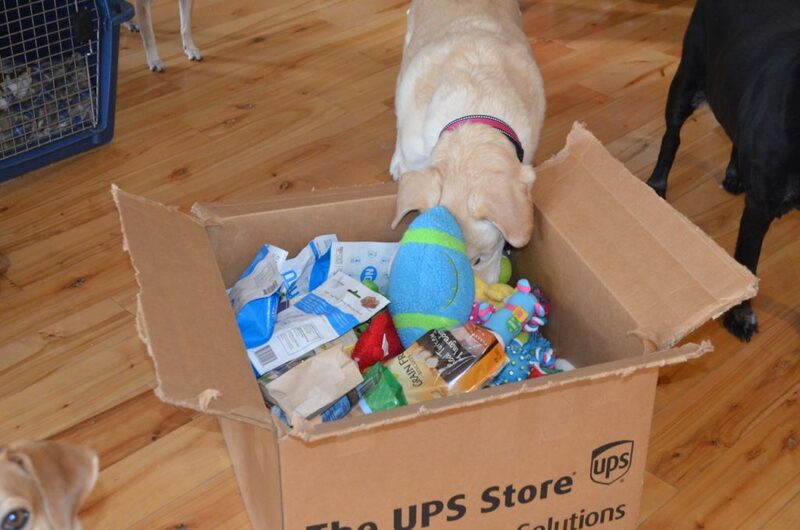 Great Christmas gifts for the dogs!